What dreams are in your heart that you’ve been holding back on? What have you wanted to do, but have been too afraid? 2014 is your year to step out and break off the fear that has held you back for so long. Today marks the beginning of the ten day countdown until we launch two services at Fearless LA! We will be posting an Instagram image daily (follow @fearless_la) encouraging all of you to live fearless in 2014, and we would love for you to join us! 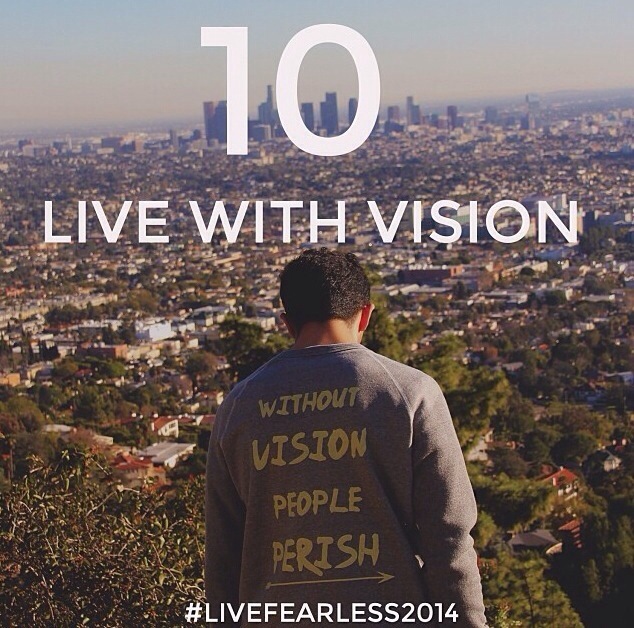 Repost our image or make your own image and hashtag #livefearless2014 to join us in the countdown. Share with us and your followers how you will live fearless in 2014!